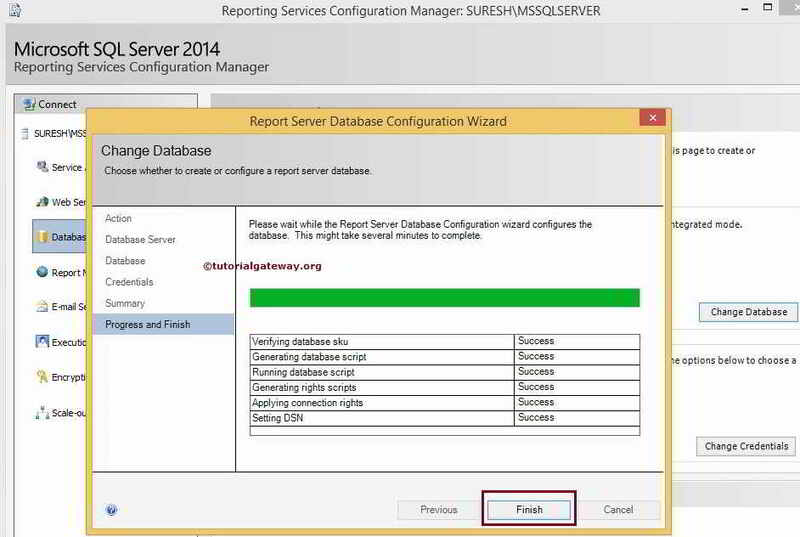 If we used the files only installation option to install the Report Server, We must use this Configuration Manager to configure the Reporting Server before we intended to use. If we used the Default settings to install the Report Server, We can use this Configuration Manager to modify the default setting of a Reporting Server. 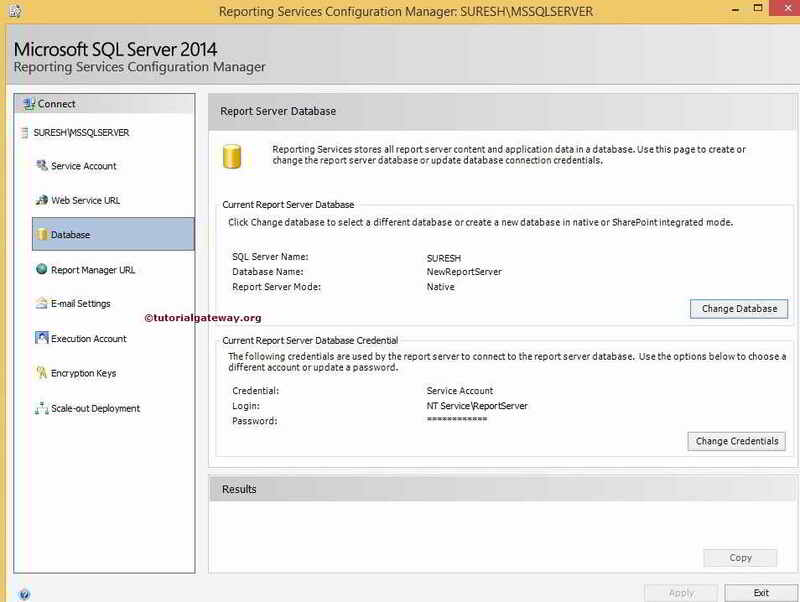 In this article we will show you, How to set up SQL Server Reporting Services Configuration Manager with screenshots. Configuring the Report Server Service Account: By default we provide default account details while we initially setup the reporting server. 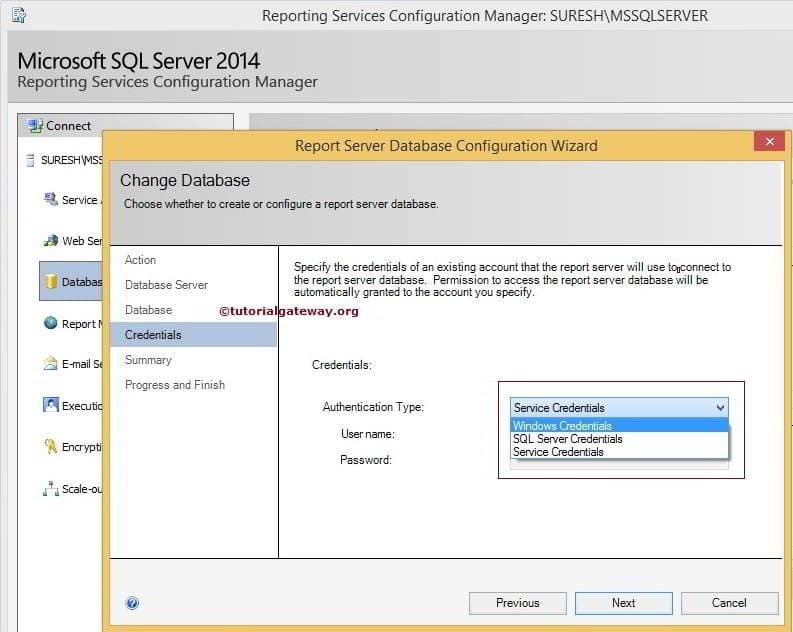 But using the SQL Server Reporting Services Configuration Manager we can add new account or we can change the password. 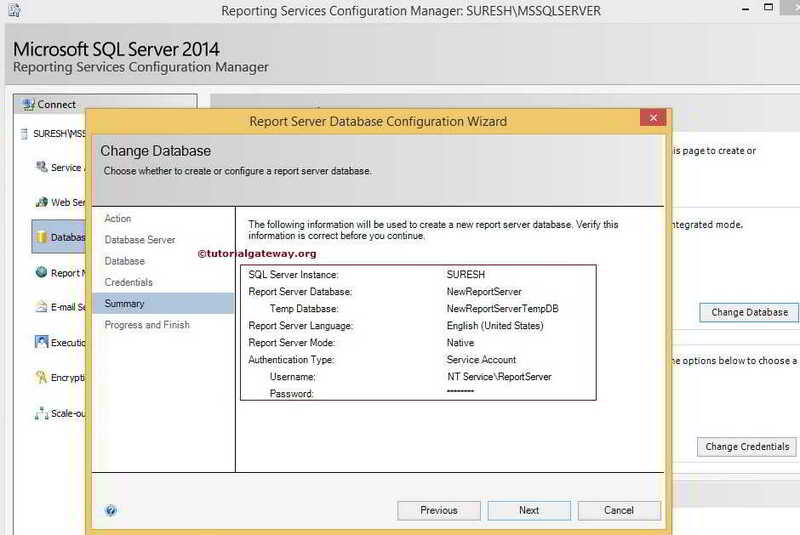 Symmetric Keys: We can use the SQL Server Reporting Services Configuration Manager to Backup or restore or replace the symmetric key that is used to encrypt stored connection strings and credentials. 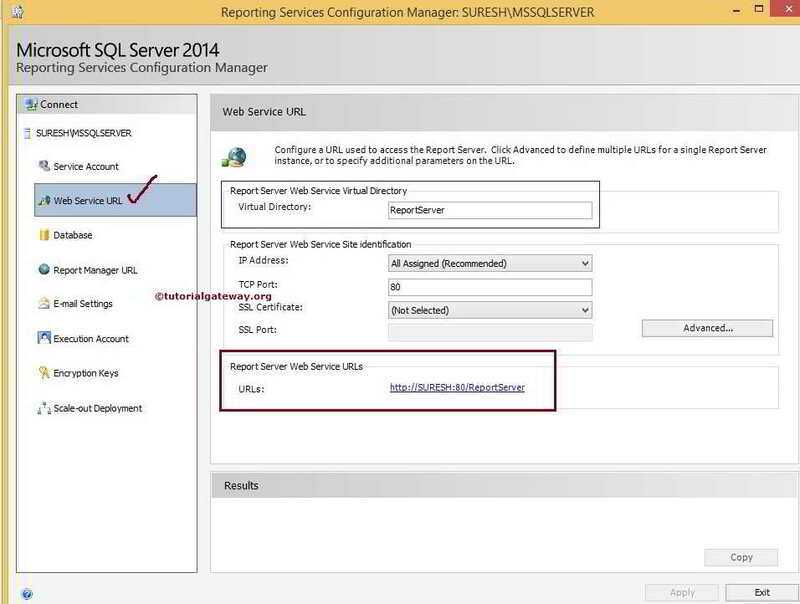 Configure Report URLs: We can use the SQL Server Reporting Services Configuration Manager to configure the Report URLs for each application. This is the URL we are going to use for, Viewing or Securing SSRS Projects or Reports. 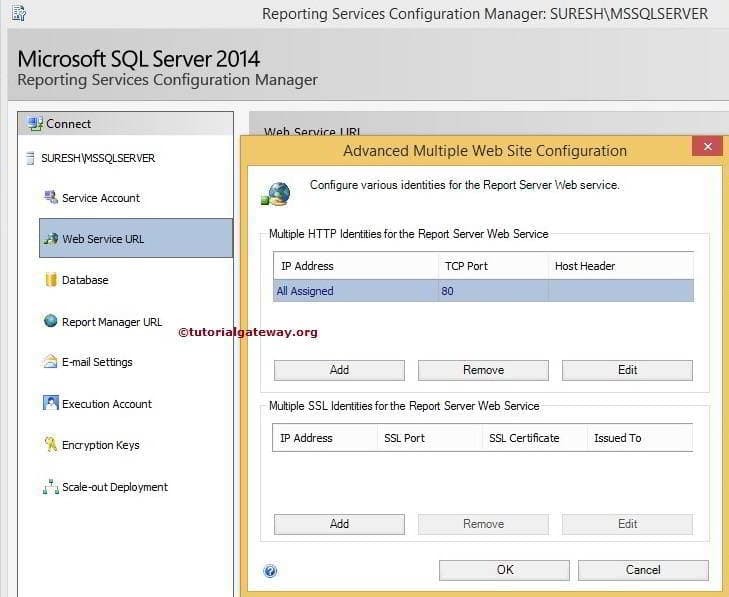 Configuring E-mail: We can use the SQL Server Reporting Services Configuration Manager to configure the SMTP Server, which is used to send Emails about report processing or report delivery etc. 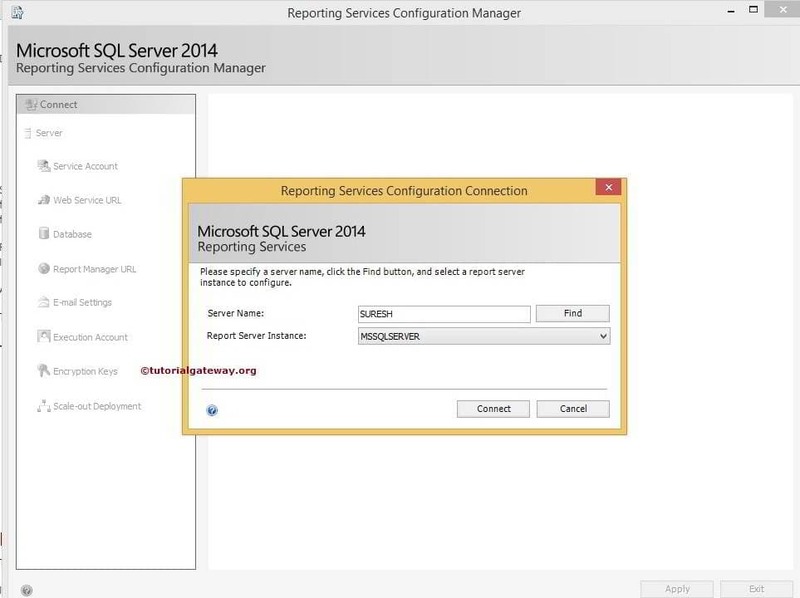 Once click on it, It will open the Reporting Services Configuration Manager window along with Reporting Services Configuration Connection window. Use this to select the Server Name and Reporting Server Instance Name. Here, We are selecting our Default Instance Name and Suresh as Server Name as shown below. 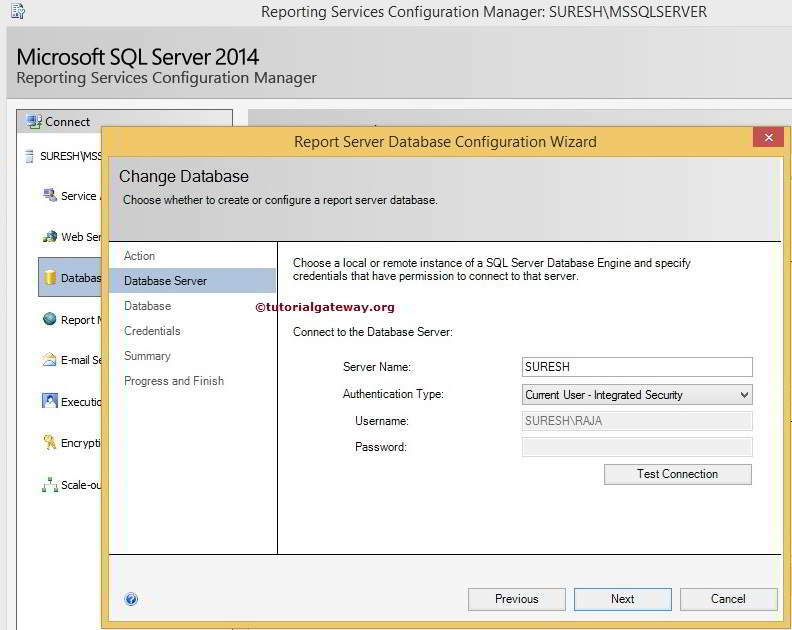 This will display the Current Report Server information such as Database Name, SQL Server Instance Name, Id, Version and the Server Status. We can use this page to Start or Stop the Reporting Server using those two buttons. TIP: We can use the Service Account tab to change the existing account or to create a new account for the reporting server. 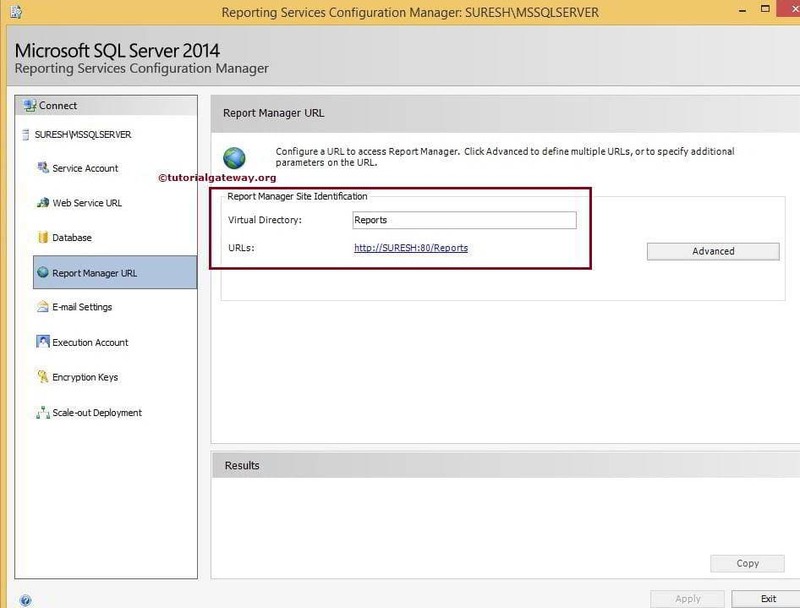 In SQL Reporting Services Configuration Manager, Web service URLs and SSRS Report Manager URLs are used to access the Report Server Web service and Report Manager. By default, Reporting Services provides default URLs as shown below but you can change them as per your requirement. By clicking the advanced button, you can change the TCP Port from default 80 to other. You can change IP address to network name by clicking Add, Remove and Edit buttons. 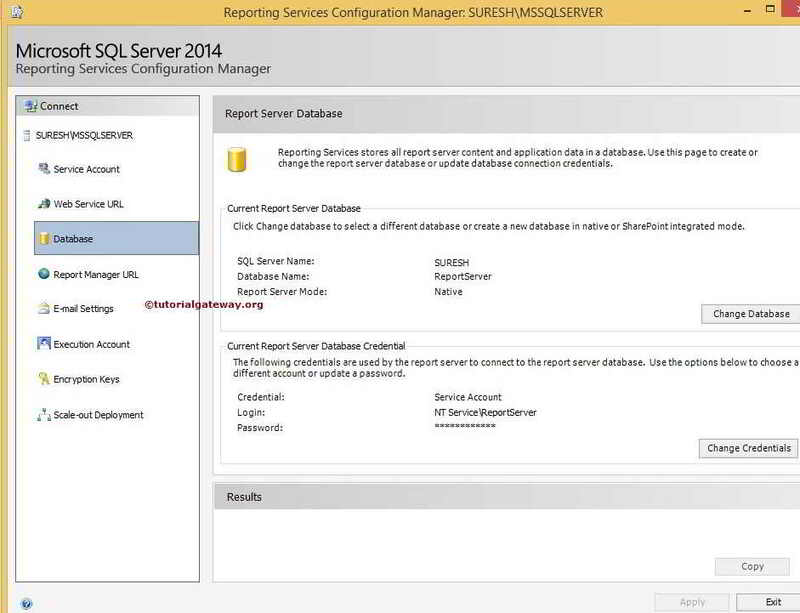 In Reporting, SSRS Report Manager URL is used to access the Report Server Web service and Report Manager. By default, Reporting Services provides default URL however, you can change them as per your requirement by clicking the Advanced button. After you click on the above URL, the following Screenshot will be displayed. This is the place where, we can see the deployed reports, Shared Datasets and Shared Data Sources. If you goto the Database tab, you can see the current Reporting server database name, modes and also the credentials used for that. 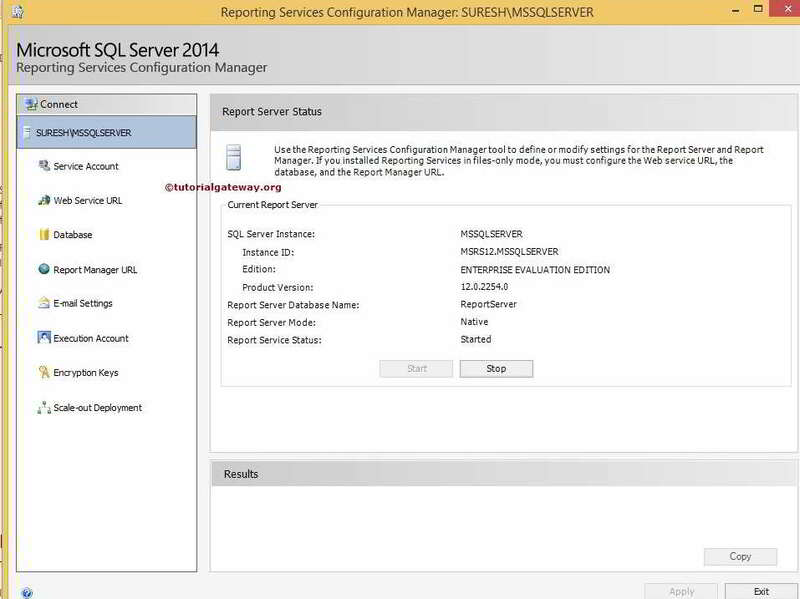 From the below screenshot you can observe that, ReportServer is the default Database name. 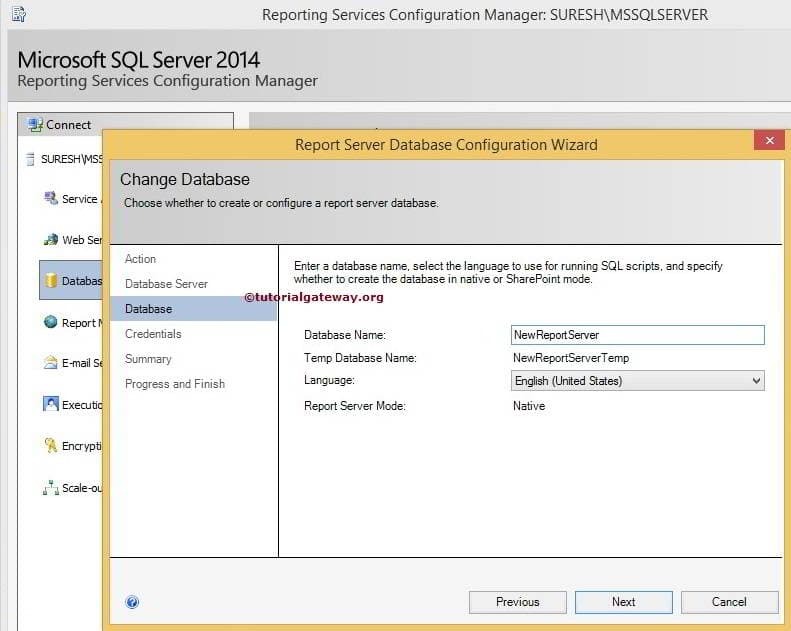 Once you click on the Change Database button, a new window called Report Server Database Configuration Wizard will be opened to create a new database. 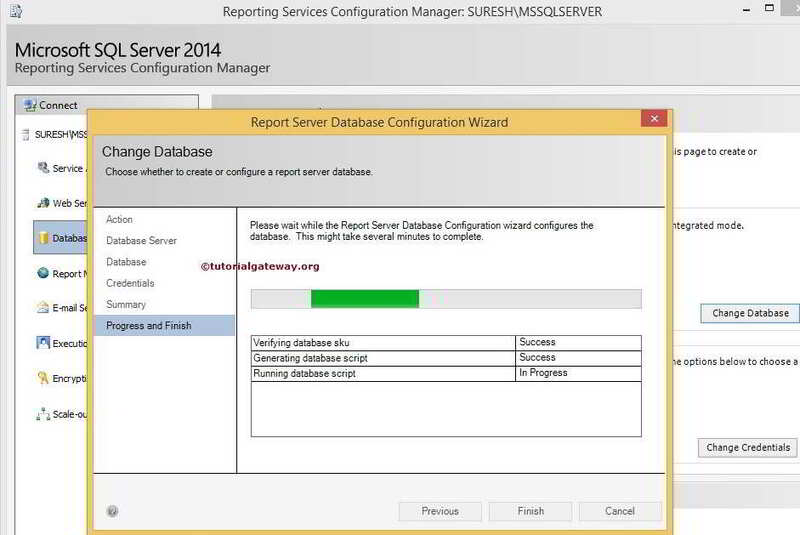 Create a New Report Server Database: If you want to create a new underlying database for report server internal storage then, Please select this option. Here, we are selecting this option because we are creating a new database. 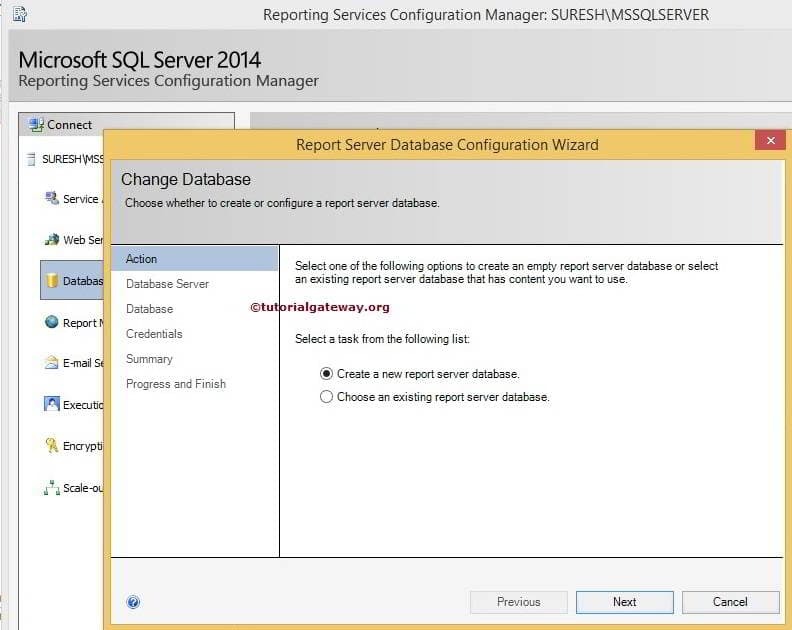 Choose an Existing Report Server Database: If you want to modify the existing database of a report server then, Please select this option. This tab is used to specify the Server Name, Authentication Type, User Name and Password required to connect with the Database. Click on the Test Connection button to test the connection we provided. Windows Credentials: Please select this option, while you are working on the local computer. Here you must have permission to access the Database. SQL Server Credentials: Please select this option, If you want to connect to external Database. Here we have to provide the username and password required to connect with the server. Here the credentials should match the user data in SQL security. 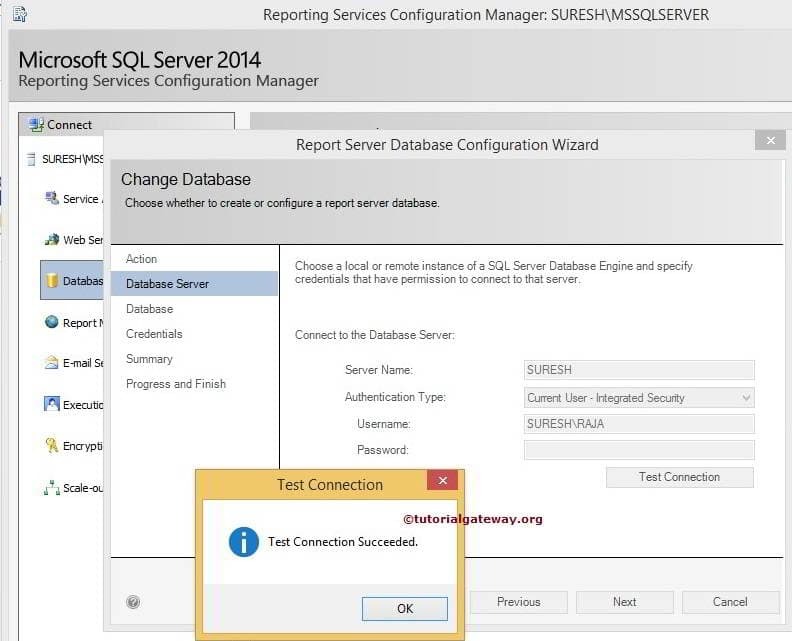 Service Credentials: Please select this option, If you want the reporting server to connect using the service account. Here, credentials are not encrypted or stored. Click on the next button to create the database.